Congratulations to LisaTknits, our first prize winner for the Spring KAL with Angela Tong that's happening now here in our Ravelry group! We will get in touch with you to arrange for the delivery of your prize, a Marblz DPN Set. Click here to learn more about our KAL on our previous blog post! 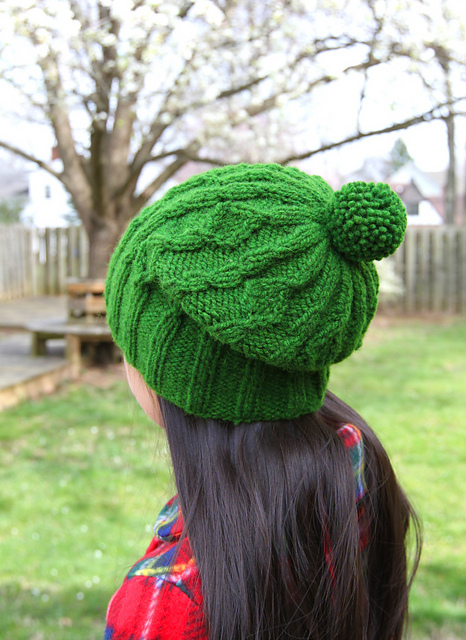 Our Spring KAL is a great opportunity to knit items to donate to charity, especially if you're making the newly-released Hishigata Hat by Angela Tong! 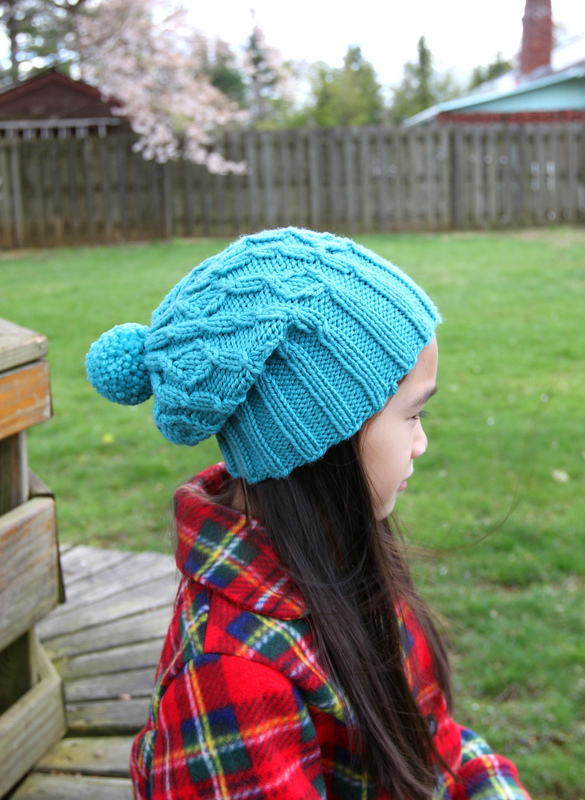 Knit in a bulky weight yarn with a pretty diamond cable pattern, this hat is a fun, fast project that can be donated to those in need. Of course, you don't have to limit your donation to projects made in our KAL, or just hats - there are plenty of organizations that are looking for hats, scarves, and other items year-round! Today, we'd like to spotlight a few of these organizations where you can donate your finished objects (FOs), though this is by no means a complete list! If you happen to knit or crochet for a particular organization that isn't listed here, we would love to hear about it in the comments! This project was launched last year to collect knitted and crocheted hats (or tuques, as they are known in Canada) for Syrian refugees arriving in Canada. 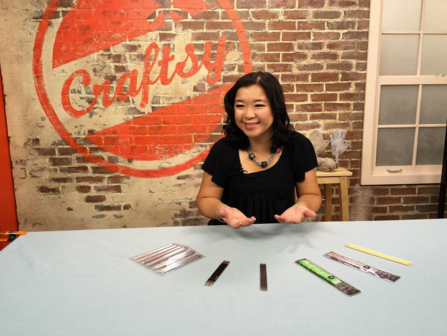 Initially begun as a small group in Quebec, the project quickly spread throughout the country and even into the US with Purlescence Yarns in Sunnyvale, CA serving as a donation collection point for American crafters. While the project is focused mainly on hats, other donations of mittens and scarves are also accepted if they have a matching hat along with them. This not-for-profit organization accepts knitted, crocheted or sewn caps for chemo patients which are distributed to over 450 cancer centers each month. They provide a set of guidelines for your handmade donation here on their website, as well as free and for sale hat patterns for knitters and crocheters. This organization accepts donations of sweaters, caps and blankets to distribute to children living in poverty worldwide. They prefer items which are knit with easy-care acrylic yarns and provide free patterns for making your donations. Donors can also use a pattern of their own choosing if they prefer. This organization accepts donations of knitted and crocheted blankets and other accessories year-round; you can check their Current Needs section of the website to see which items they are currently looking for. This spring, we invite you to knit along with Angela Tong over in the Knitter's Pride Ravelry group! 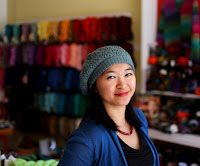 Angela has a brand-new hat pattern out, the Hishigata Hat, which you can purchase on Ravelry for 20% off when your enter KPKAL at checkout. This coupon code is also good towards any pattern from Angela's Ravelry pattern store (located here), and all of these patterns are also eligible for our KAL! There will be some fabulous prizes up for grabs (more on that in a bit), and Angela will be sharing some great tutorials over on her blog throughout the course of the KAL. What: A Knit-A-Long for any and all of Angela's patterns from her Ravelry pattern store, located here. Enter KPKAL at checkout to save 20% on your Ravelry Pattern Purchase April 8-May 13. When: This KAL is happening now through May 13, 2016! Where: Join the fun by sharing your photos in the Knitter's Pride Ravelry Group and on Instagram using the hashtags: #KPtongKAL and #knitterspride. Knit Blockers: one lucky person who purchases an Angela Tong pattern between April 8-22 will be entered in this prize drawing (note, you must use this coupon code when you check out to be eligible: KPKAL). Marblz Interchangeable Circular Needle Set: post your FO photos here in our Ravelry group to be entered in this giveaway; we will announce the winner in the thread on Monday, May 16. Allure Fiber Wash: anyone who posts a photo of their WIP or FO for the KAL on social media using the #KPTongKAL hashtag will be entered to win an Allure Sampler Pack! We also have a short interview with Angela to learn more about her new design! Can you tell us more about your new pattern? that has four equal lengths and diagonal lines that cross vertically. The 2 stitch cables used in the hat forms the diamond shapes on the hat. What inspired it? What do you love about it? I have been obsessed with knitting hats due to the unusually long cold season we have been having in the North East. 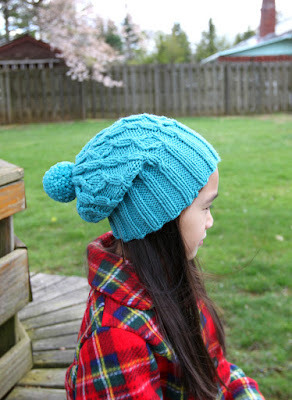 I wanted to design a slouchy hat that can be knit up quickly. My oldest daughter likes to borrow my hats, so I made sure to include a size for knitters who wants to knit for their older kids, too. Do you have any special tips for knitters who will be participating in this KAL? My preferred method of finishing a bottom up hat is to use double-pointed needles. For beginners who are not used to working with DPNs, it really only takes a little practice and some good needles. In my Craftsy Class, My First Mittens & Gloves, I teach knitters how to swatch in the round and to knit in the round with double-pointed needles. I begin the class using Knitter's Pride Marblz needles - they are smooth yet not slippery, perfect for a beginner using DPNs or even an experienced knitter. Click here to sign up for this class and save $15 off your registration! What are you most excited about with hosting this KAL? Knitalongs are so much fun. I love seeing what yarn knitters will choose for the same pattern. It can really vary the look of the finished project so that will be exciting to see. This month, we're giving away a Marblz DPN Set! Leave a comment on this blog post for your chance to win this prize - we will announce the winner on Friday, April 22 right here on the Knitter's Pride blog (be sure to also mention your Ravelry ID or email address so that we can contact you if you win).